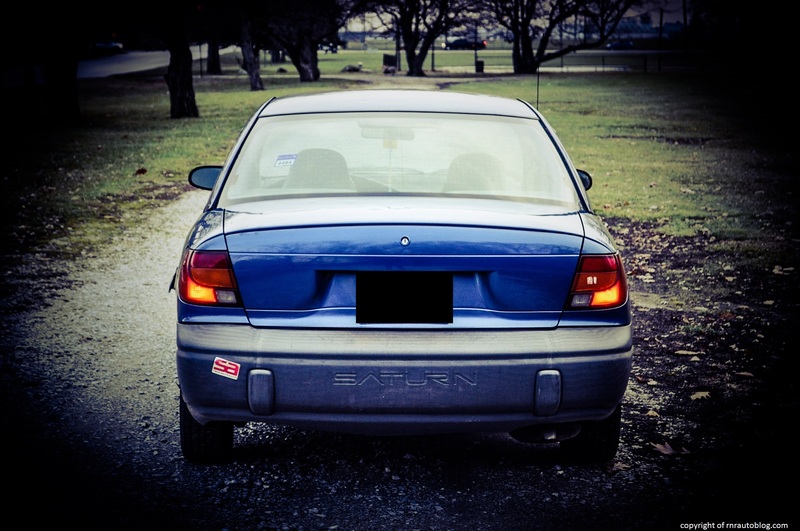 My friend was puzzled when I asked him if I could review his beat up Saturn five speed. Many of you readers are probably wondering why I am reviewing this car, especially when the cars I have reviewed in the past include a Nissan GT-R, several Mercedes-Benzs, and BMWs. My reason being is that it is a manual, and also because it is a Saturn SL. 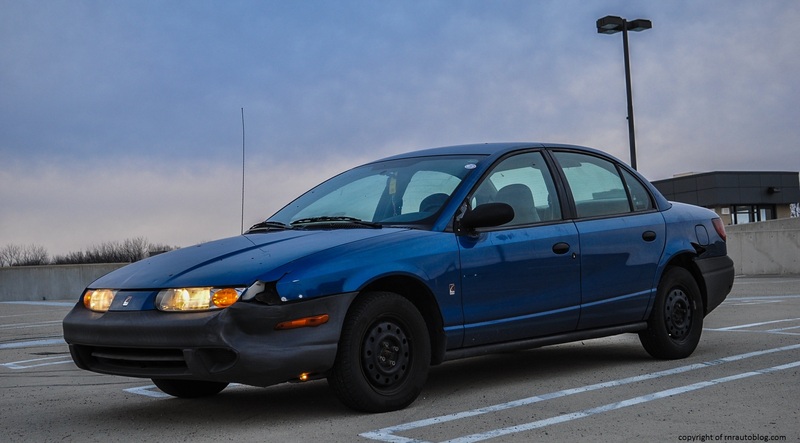 Before we bought our 2002 Toyota Camry, we had a 1993 Saturn SL (see picture below). Saturn was a division of General Motors, and the idea of Saturn was conceived around 1982-1983. At this time period, American compact cars were considered obsolete in the face of Japanese competition. Honda and Toyota provided superior reliability, quality, and fuel efficiency that American cars failed to match. My dad bought his 1988 Honda Civic in 1988 because it provided the best reliability and value for the money compared to domestic rivals. 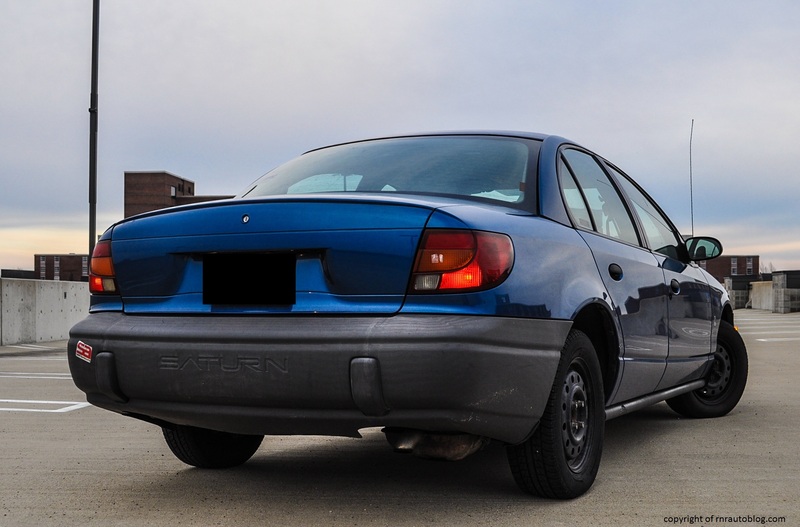 The idea behind Saturn was that it would provide American vehicles that could provide Japanese quality and reliability but at cheaper prices. Saturn also implemented no-haggle pricing to aid customers in the buying process. 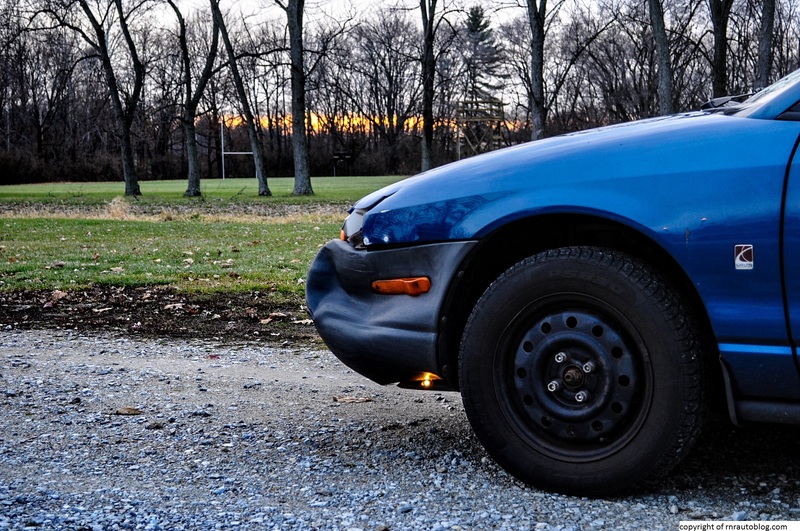 Another Saturn feature was that Saturn cars came with dent resistant plastic body panels. 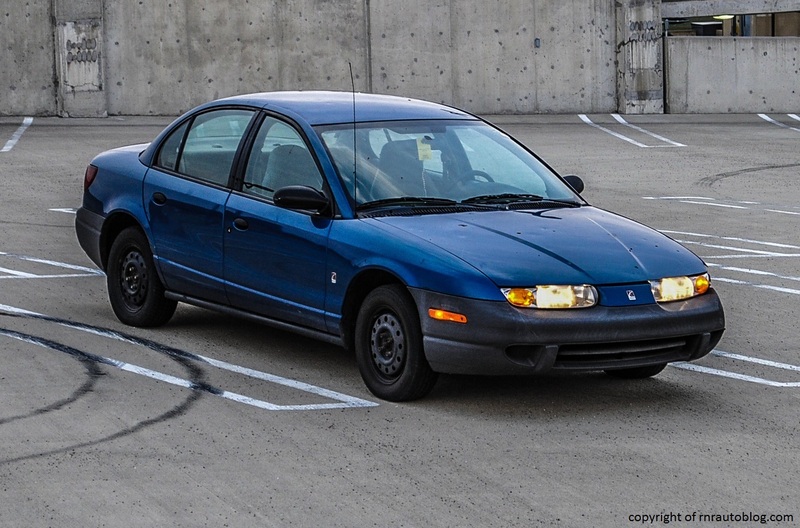 The first Saturn vehicle were the 1991-2002 S-Series which consisted of a coupe (SC), sedan (SL), and a wagon (SW). The first SL sold well, and was met with praise by reviewers. 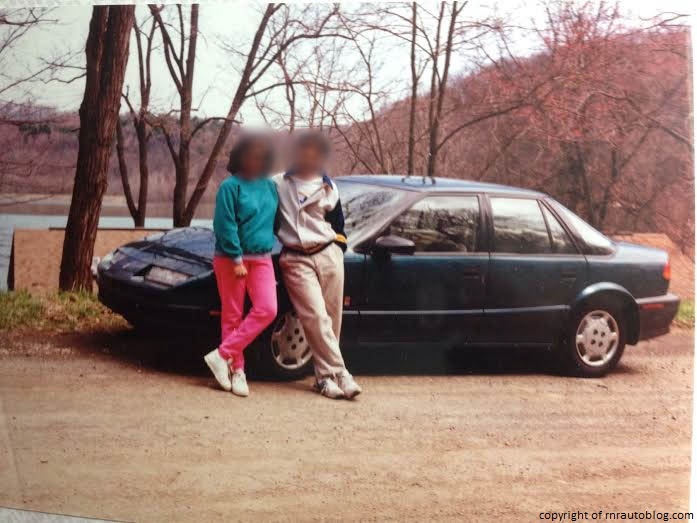 My dad, a loyal Honda buyer, ditched his Honda Civic, and bought a SL, and we loved that car for nine years. 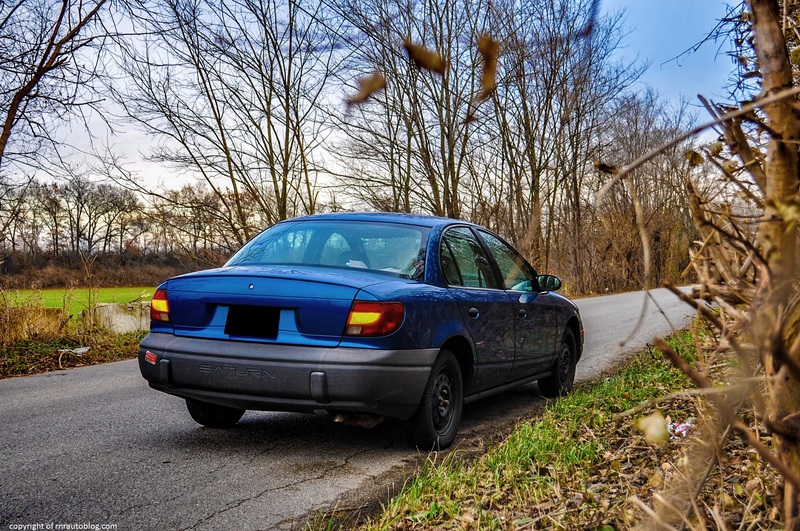 In nine years, it racked up 130,000 miles without any reliability issues. The S-Series was redesigned in 1996, and then again in 2000, although it was more of a face-lift than redesign. I know that traditionally, I always try to put a positive spin on negative subjects. 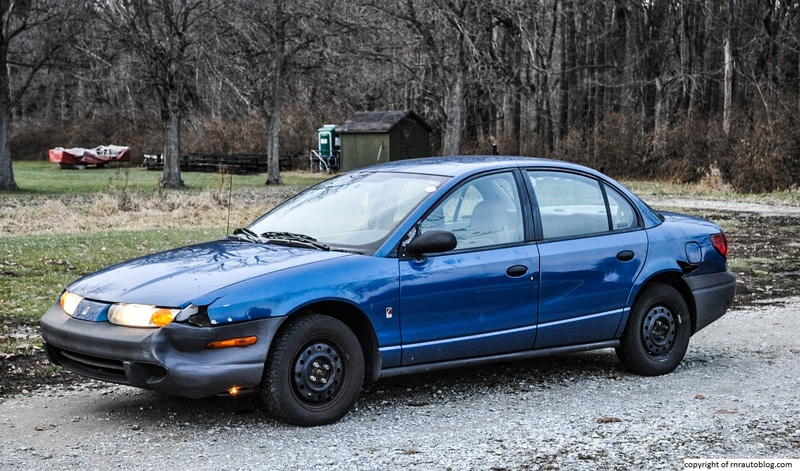 However, when it comes to the styling of this car, I have to say that Saturn’s focus was not spent on the design. The full width headlights does add an interesting touch to the front, especially at night when headlights look aggressive. The side has a bubbly feel to it, especially with the roofline. The roof has a circular shape to it, and I like the sloping rear window line. However, the rear is the worst aspect of the interior as there is nothing exciting about it. 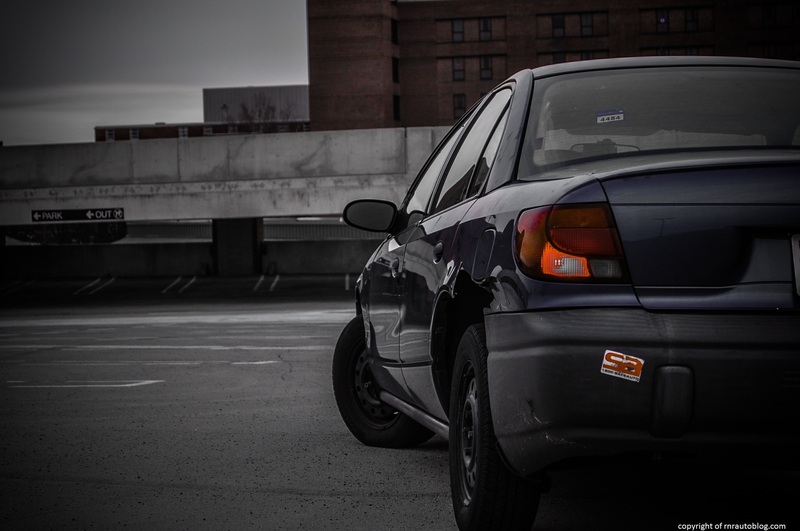 The biggest criticism i have with this car are the bumpers. They may be plastic and dent resistant, but they look cheap and add to the economy feel of this car. 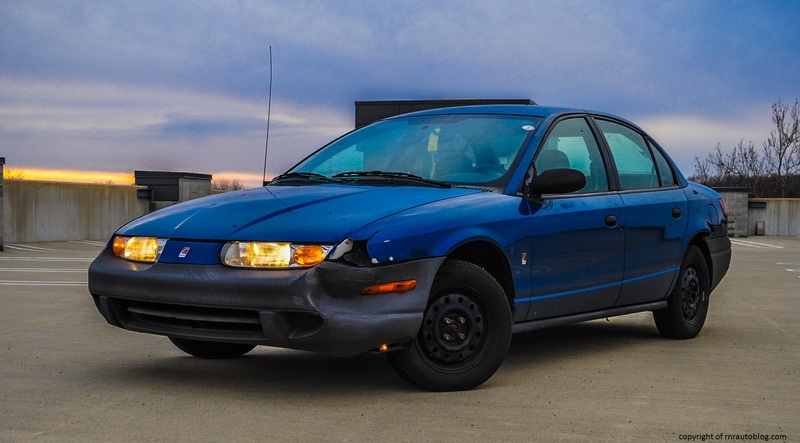 The interior is dark and bland, but the orange lighting is pleasing and a Saturn hallmark. 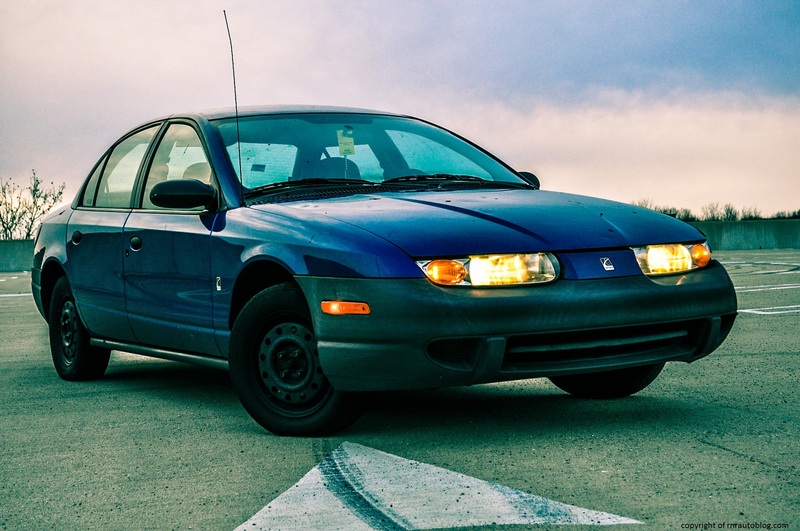 Despite its unassuming exterior, the Saturn drives better that expected. The previous SLs were noted for their agile handling, and that still holds true for this car. The car corners surprisingly flat, and the suspension feels taut. The suspension irons out bumps well, and the body control made this car feel smaller than it is. It handles with aplomb when pushed to its limits, and it never feels flustered. What grabbed my attention was how heavy the steering is. In an era where cars are fitted with precise and light steering, the SL’s steering feels old fashioned. When I was approaching a fast curve, the steering required two hands on the steering wheel to turn. It was that heavy, and it feels even heavier when parking. It is also because of its heaviness that it feels slow and imprecise. You end up putting more effort in the steering than expected when turning. However, the steering provides excellent road feel, and my friend told me he appreciates the steering’s feel because it prevents him from falling asleep. Mind you, this car cannot be described as sporty, but it handles competently. The ride quality is commendable as it irons out bumps for the most part. Some road imperfections jostle the cabin, but it never becomes unbearable, and on the highway, it is smooth. Two engines were offered for this generation of the S-Series. The Base and SL1 came with a 1.9 liter four cylinder engine rated at 100 horsepower. With 100 horsepower, it is quite slow. Getting to 60 mph requires time and patience, as it takes longer than 10 seconds for it to hit 60 mph from a stop. It feels sluggish, especially at low to mid revs, and even at high revs, it still feels languid. Downshifting is necessary when overtaking or speeding up. 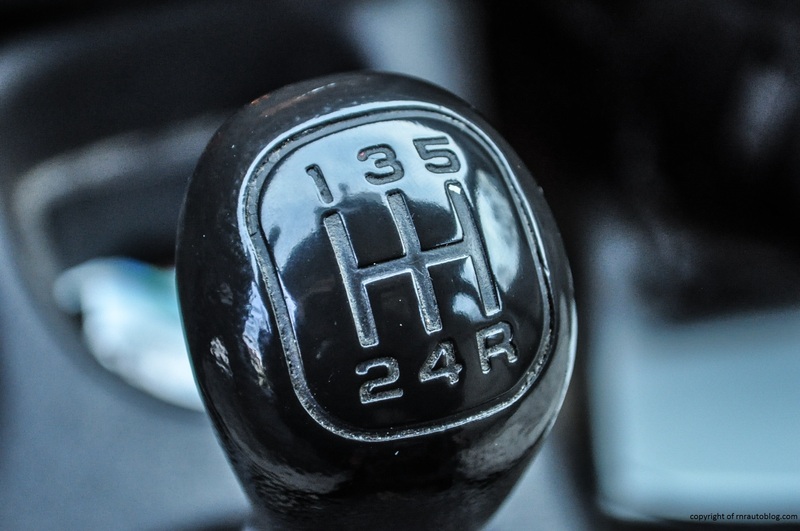 The five speed manual transmission is very smooth with short throws, and it slides into gear easily. However, it is a very hard car to get used to driving because the throttle is overly sharp. It is very difficult to modulate the throttle as revs soar easily, so you have to be super precise with the clutch. The clutch also lacks some feel, so it is hard to tell where the engagement point is, but it is light enough and gets the job done. The upper trim SL2 came with a 124 horsepower 1.9 liter four cylinder engine. A four speed automatic transmission was the other transmission option. When it comes to refinement, this car feels like its age. On the road, you always hear the roads, especially when you drive on deteriorating pavement. The suspension clunks on every road imperfection, and there is a discernible wind whoosh at highway speeds. The engine feels like an old relic because at idle, it sounds like a clattery diesel, and at speed, it emits a thrashy engine note. 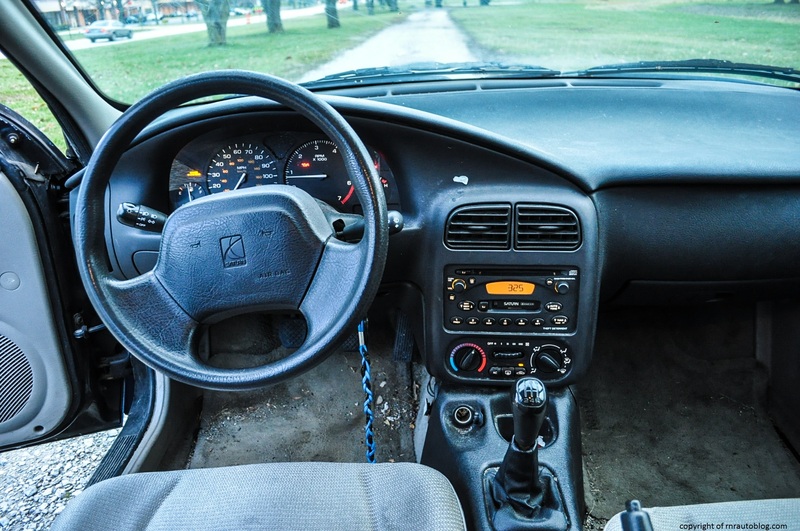 Being that Saturn is a division of General Motors, a company that was not known for its quality interiors, the Saturn’s interior is not the best it can be. The interior is constructed of hard and scratchy plastics, and the dash feels brittle. 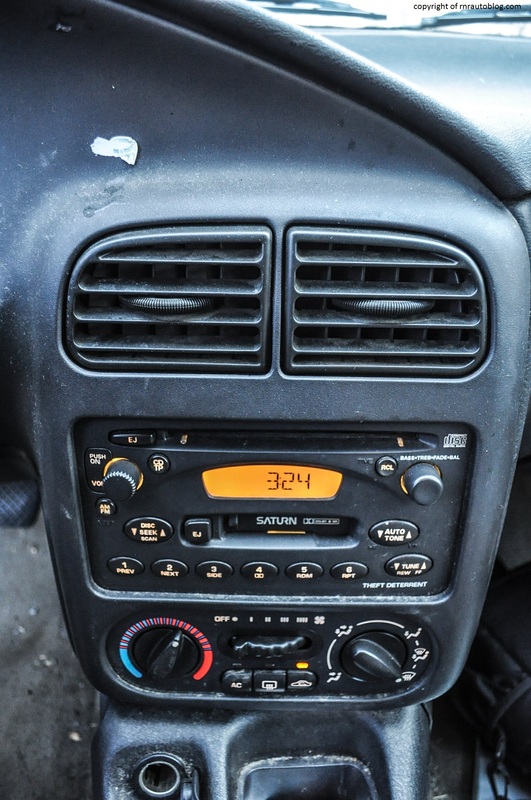 The radio and air conditioning are intuitive, and the gauges are easy to read. Room in the front is lacking because you find your right leg brushing up against the center console, and there is not much room to spread your legs out. The rear can fit two adults with some comfort, although three might be one too many. The seats are super soft which may seem great initially, but I suspect that the seats’ support will be uncomfortable on a long trip. The upright roofline affords generous headroom as well as excellent visibility, and the trunk is shallow but wide enough to accommodate two small suitcases. The steering tilts only, but finding an acceptable driving position albeit with some compromises is easy. One thing I like about the driving position is that you sit low in the car and close to the ground. This makes it feel just a bit more sportier than say a Honda Civic or a Toyota Corolla. Of course, this means you have to be careful getting out of the car. Twice I have hit my head on the roof when getting out of the car. 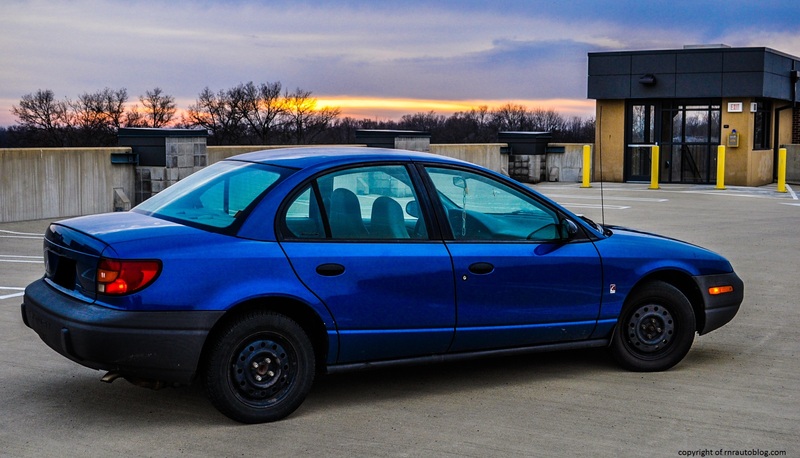 I got the chance to review another Saturn: a 2007 Saturn Aura. I walked away from that car very impressed as it handled like a sporty European sedan. 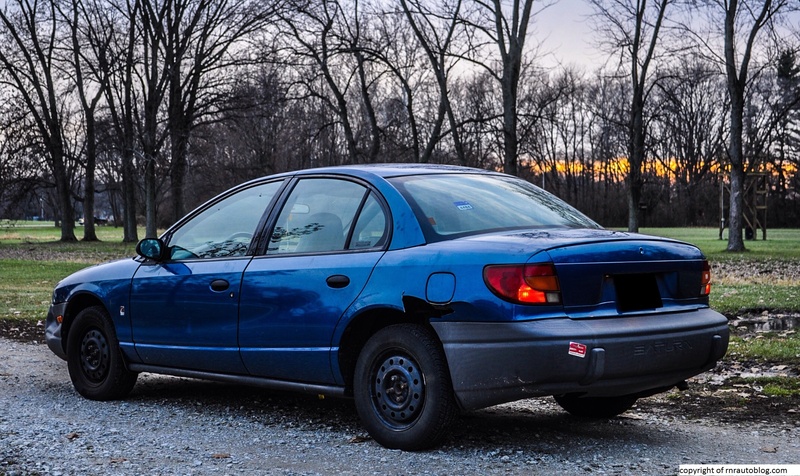 However, it had the typical GM drawbacks: terrible fit and finish and questionable reliability. When I think of Saturn, I think of our Saturn that we had. My dad is a critical and rational person, one who spends a considerable amount of time researching before buying a car. So if he traded in a 1988 Civic for a 1993 Saturn, the Saturn must have been good. And indeed it was. When we bought the 2002 Camry to replace it, the Saturn had 130,000 miles on it. 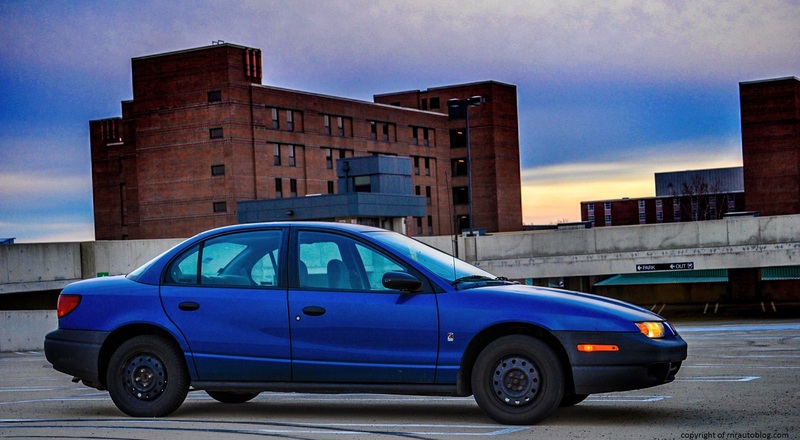 The Saturn was the first and last American car we ever had, and with good reason. Our SL offered unbeatable value and excellent reliability, not to mention it was fuel efficient, but once We got our Toyota, we stuck to Japanese. 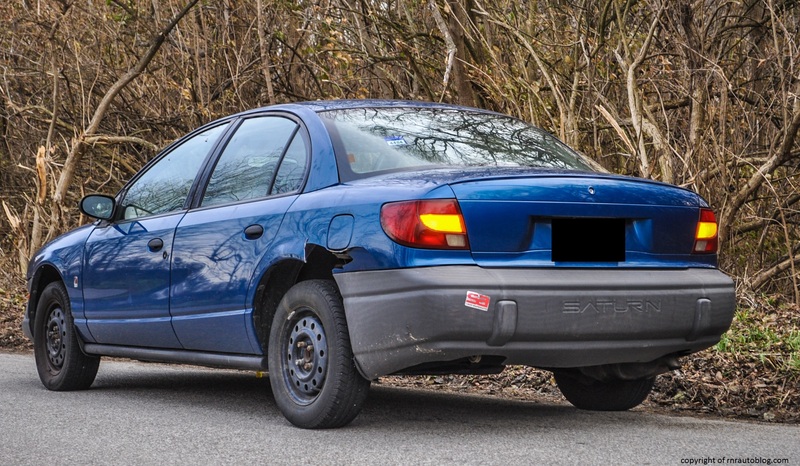 I think it is a shame that General Motors let Saturn go to waste. Back in the 1990s, GM was all about badge engineering, a simple practice where one car gets copied and sold as difference cars. 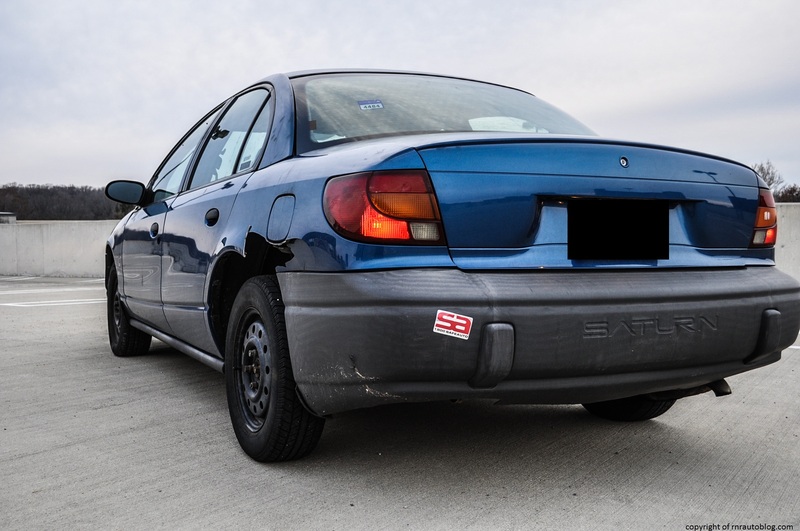 With Buick, Oldsmobile, Pontiac, Cadillac, GMC, and Chevrolet all sharing similar cars, Saturn was the sole division in which its cars were truly unique, having no shared parts with any of GM’s other divisions, and the first SLs helped Saturn become a somewhat respected brand. However, GM just let Saturn languish. 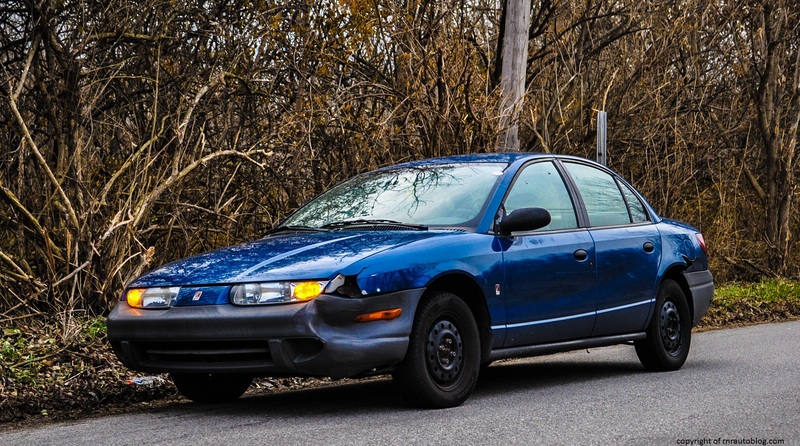 In 2003, Saturn replaced the SL with the ill fated ION which sourced parts from GM’s divisions, and then Saturn went downhill as it started rebadging. 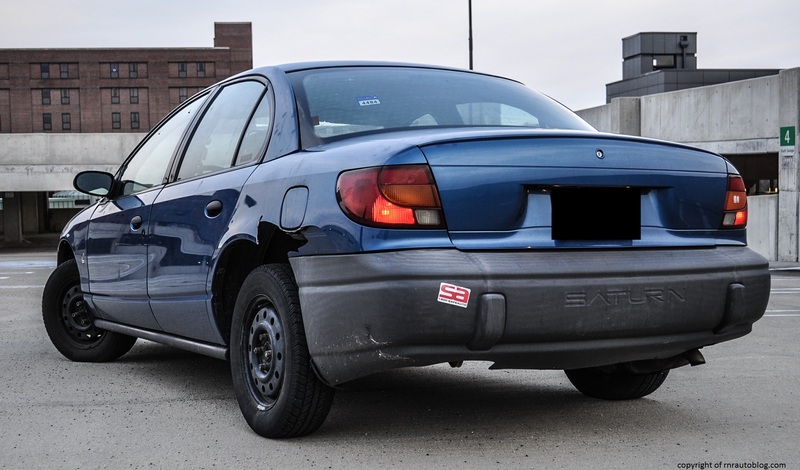 When the 2009 recession hit and GM found itself in bankruptcy, Saturn was not the unique automaker it once was, and it presented no value to GM so the Saturn brand ceased to exist. It is a sad thing really. What could have a been a great thing just wasn’t. Back to the SL. The SL drives nicely, and the five speed is a pleasure to use, but I would not get one. Even though I have fond memories of our SL (my favorite was when I was six years old, and I took pliers and I drew a line around the entire car and wrote my name on the trunk. I got in big trouble for this), this SL pales in comparison. Whereas the first SL shocked the automotive industry, this SL does not set new ground.It is a decent car, but if I were to get a used car, I would stick with Honda.